Metro rail operators seeking to reduce station congestion and maximise passenger throughput can turn to mobile ticketing as a solution. By transforming the passenger’s phone into the vending machine as well as the ticket itself, users can avoid queues and self serve at any time or place well outside the station, expanding accessibility to the metro service. 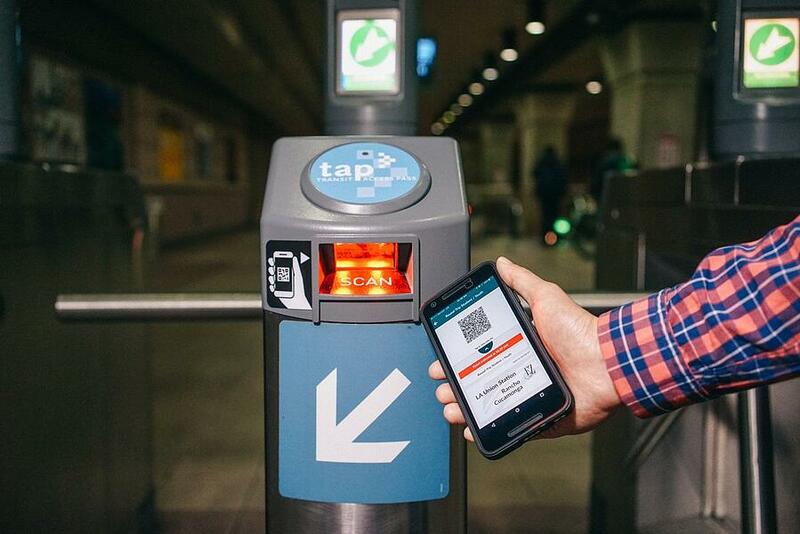 In major city transport networks, visual and barcode mobile ticketing adoption is increasing as passengers take advantage of the convenience while operators remove the overhead associated with physical tickets. So how can you include mobile ticketing, maximise throughput and securely protect the new revenue stream against fraud without impacting performance of existing ticketing media? 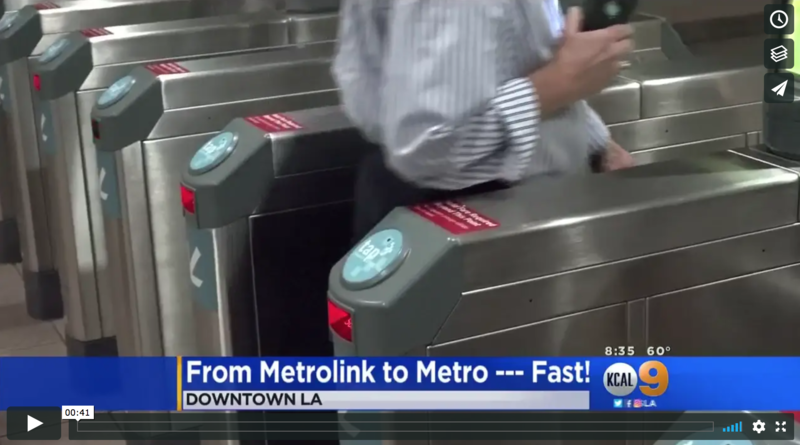 In this blog post we will cover some of the factors you need to consider when looking to introduce mobile ticketing to metro rail systems, including 15 questions to consider before embarking on a gate retro-fit project. New metros have the luxury of installing the latest gateline technologies and can partially ensure future proofed infrastructure by procuring gates with multiple scanning technologies at the time of specifying. But even when you are procuring new, the future is not always as we predict, so instead of assuming that your first specification will always be sufficient, modern procurement of hardware should now follow in the footsteps of software, and always procure with an API or extension interface that you have rights to use, rather than being trapped either only with original functionality or original manufacturer options. This is especially true as consumer technology trends evolve faster than standard equipment and gate procurement cycles, so planning for one or two upgrades that you can't plan yet would start to sound prudent. The current selection of legacy smartcards and new BYOT options lead us to recommend procuring readers with proven throughput and resilience validating the following ticket and token technologies : ISO14443, ( ID cards, NFC, MIFARE, etc...), EMV contactless (for contactless payment cards and Apple Pay & Android Pay), Bluetooth LE, as well as optical barcode for paper and mobile as a minimum. Some markets may have specific needs e.g. Felica support. To date Masabi’s Justride has employed barcode as the medium of choice because it can consistently and reliably be delivered to the largest portion of user devices and widely available media. Even though other ticketing formats may not be launched at the same time, Justride allows operators to leverage any new innovation shipped in consumer devices through software updates rather than lengthy additional hardware procurements. What do you do if you have existing gate infrastructure? Full gate replacement projects are extremely expensive both in terms of cost and resource, as well as taking a considerable amount of time and station disruption to execute. Even if you only plan to upgrade 2 walkways per array, the civil engineering changes can be daunting to an active station. Established gatelines can consider instead retro-fitting existing gate units with a small modular, plug-in reader unit, as long as more than simply opening a gate is considered. Here are some key questions to consider when looking into a gate retro-fit project. Are your gates already designed for extending and enhancing, or do they need a more involved engineering investigation to determine and create integration points? Modern ABT (Account based ticketing), EMV and Barcode ticketing needs reasonable comms - what options do you have? Many users will be offline while in the station, how will they access tickets quickly and reliably without fumbling or waiting for downloads? How do you allow for station evacuation during an emergency? How do you set the walkway into maintenance or degrade mode? What happens when your station is offline and the WAN is not reachable? (You need to ensure you don’t loose your data, or anti-fraud capabilities, or inconvenience riders). Have you considered how the reader positioning and feedback provided by the reader affects walkway throughput? Number of passengers through the gate per minute is the key performance indicator (Passengers per minute) rather than the often cited 300-500ms read speed. How do you mitigate customer device misalignment to maximise throughput? How do you manage reader configuration, monitoring and maintenance life cycle? How do you match the walkway requirements for environmental conditions and safety? How do you ensure that existing media continues to work with the same performance? What happens when a barcode ticket is presented at the same time as a smart card or token? Have you ensured robust anti-passback control across all gate arrays in a station? Have you considered how you introduce offline anti-copy measures? How do you gather the right information to auto-detect unusual behaviour? High volume and high throughput validation systems are extremely complex and you need to ensure you select a trusted and experienced provider that understands the challenges of augmenting an existing AFC implementation. Scan speed, ergonomics, security, reliability and redundancy. Through the years Masabi has developed robust solutions to all these challenges, both at national and urban scales. We are now working on gate retrofits for several major tier one global cities and have experience working with large rail operators.